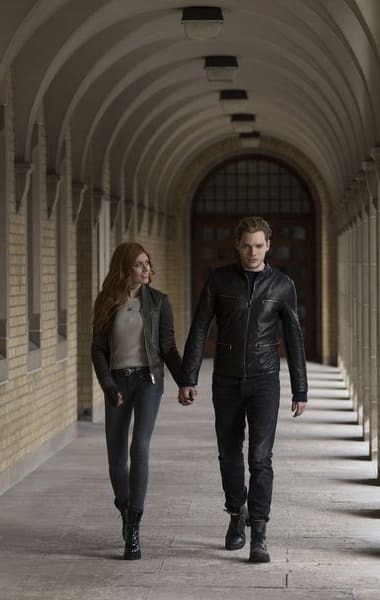 The perfect date for "Clace" turned into another perfect disaster. We can blame Jonathan for ruining all of our romantic hopes on Shadowhunters Season 3 Episode 14. His obsession for his sister crossed into major levels of creepiness. Gone were all the pretenses of reclaiming the Morgenstern name; he made his move, and he made it obvious. At some point, Clary should follow the lead of Regina George and create her own GIF-worthy moment of saying, "Why are you so obsessed with me?" It's a shame we lost out on the full date night of Clary and Jace. From the looks of the ice skating, Jace put a lot of thought into how to spend time with the woman he loved. However, in the moments they had together, Jace and Clary hit it off with plenty of sparks and cute couple moments. Tough warrior Jace can be a real softy sometimes. This date showcased his warm and romantic side that he hides behind his bravado and edge. Someone who didn't care wouldn't have pieced together a date night concept from a photo on a dresser. That's love right there! Sure, the plot had the cliche trope of one person being terrible at ice skating and the other having to teach them. But, the trade-off for their ice rink kiss was worth the extra bit of cheesiness. Clary and Jace deserved their happy moment together. And yet, Creepy Jonathan emerged onto the scene to ruin it all. Back when he was Sebastian Verlac, he randomly kissed Clary in the Institute. That moment had uncomfortable tones to it since we knew the truth of their connection, but it potentially could've been a ruse. The kiss this time as Jace had no rhyme or reason, so it puts everything into question. 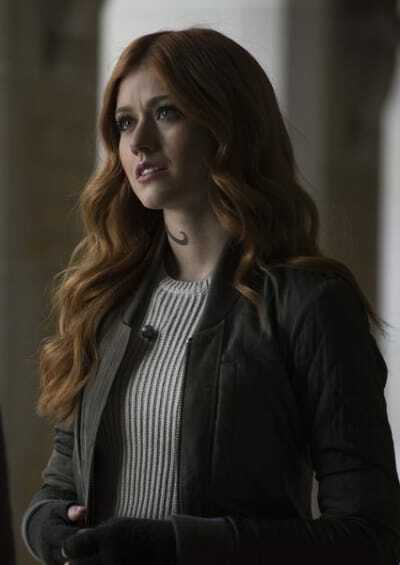 Especially when taking into account his strange roleplay fantasy with the Seelie as Clary. Jonathan's purpose for Clary might be bigger than we even realize, in addition to the Morningstar Sword. And it might be an answer that we don't want to hear. 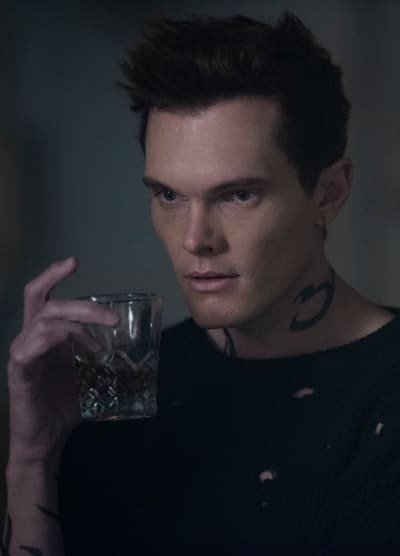 Could Clary's connection to Jonathan be tapping into his demonic evil? Their slow-motion confrontation teased that something nefarious drew them together. Clary channeled something at that moment that she had never felt before; it could be darkness since she only dwells within the light. 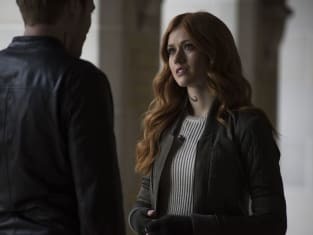 Learning from past issues on Shadowhunters, she needs to tell Jace her concerns right away. If she sits on this issue, Jonathan will use this upper hand to torment her mind and potentially turn her evil. 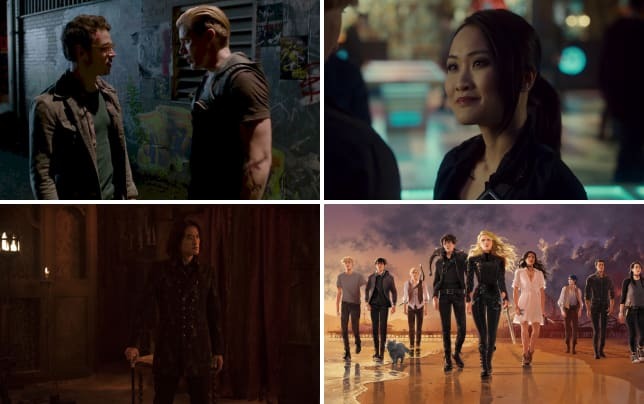 The last thing we want is for Clary to be under Jonathan's control. Being trapped in the fridge might've been the best thing to happen for Maia and Jordan's relationship. Not on a romantic level, of course, but from an area of residual baggage. Jordan's life hanging in the balance put everything into perspective between them, and they didn't waste any time to leave regrets in case he died. Jordan finally got to say his peace and apologize for turning her into a werewolf. And Maia genuinely accepting the apology gave him peace of mind in what could've been his final moments. Since he survived, the pair can now head into the future without any anger holding them back. This development is something that the pair have needed for a long time now, especially Maia. The baggage tore apart her relationship with Simon; without any resolution, something like that could happen again. And in every discussion she's had about Jordan, Maia still held onto her anger. Granted, she's completely justified in her rage based on the bad things Jordan did to her from the wolf transformation. However, from a self-care aspect, she needed to find peace too. This heated and "life-hanging-in-the-balance" therapy session gave them the perfect opportunity to release the anger. Now they're better for it. Though, I wouldn't be surprised if their paths crossed again pretty soon. Did you see the chemistry between them as they reminisced about the past? Maia and Jordan slipped right back into their relationship mode, and their feelings rose back to the surface. I don't think Maia should ever get back together with Jordan. Too much time has passed since their relationship ended, and some issues will always hang over their heads, like the lies and the werewolf bite. They would be better off with a fresh start as friends. Luke is in a whole mess of trouble. It's one thing to be a suspect and tailed by his colleagues, but it's another to be apprehended in the middle of a post-massacre. Literally, there were bodies and blood everywhere! The optics were not on his side. He can try to talk his way out of this, but the murders might be a hill that's too high to climb. Plus, the Jade Wolf was a common hangout for him, and he knew some of the victims. This diversion tactic could be his undoing. Hopefully, the Institute has some leverage with the police to free him. No one wants Luke implicated in this crime! If there's one thing that Lorenzo has on his side, it's his consistency. Lorenzo is consistently a self-centered, egotistical, showboating, wannabe leader who is more focused on petty plights and vendettas than actually doing his job. Everything he did during "A Kiss From A Rose" had a nefarious angle to it with the goal of gaining the upper hand. 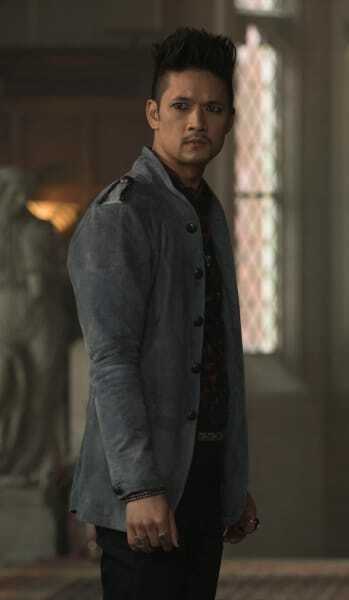 He didn't need to take Magnus' apartment as the trade-off for magic; he did it for petty reasons just to hurt Magnus. (You know because Lorenzo can't drop his baggage after decades!) And that's after he made Magnus beg for his assistance in the first place. Karma is a cruel foe and one that will no doubt find Lorenzo one day. 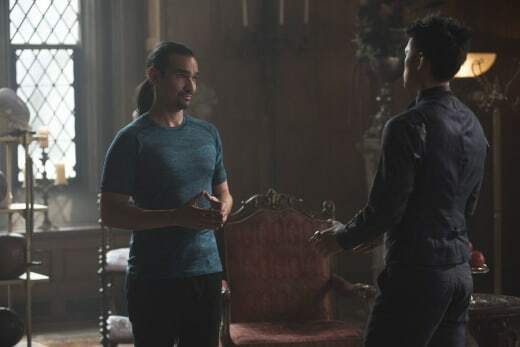 I can't wait for the moment when Magnus and Alec seize the opportunity to topple Lorenzo's house of cards. Alec has access to powers and legal restrictions that Lorenzo will never have. Angering the leader of the NYC Institute wasn't his smartest move. Magnus' confession to Alec shed a lot of light on his inner turmoil. For weeks now, he put on a brave face to live his life without magic and deal with the repercussions of being mortal. 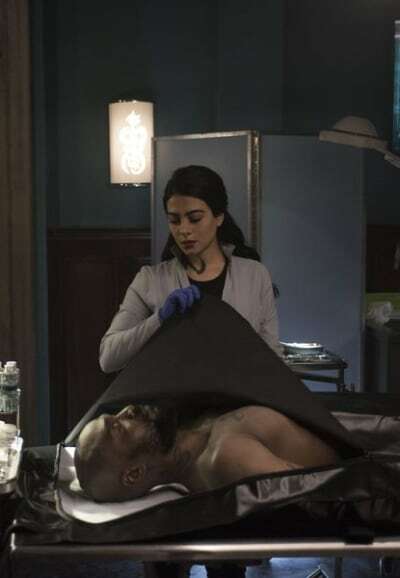 "Malec" approached this issue during their post-training session on Shadowhunters Season 3 Episode 12, and they seemed to come to terms with the mortality issue. However, there had to have been more troubles below the surface. 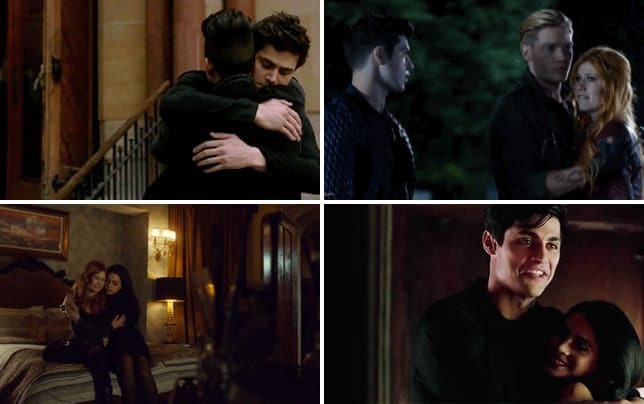 Related: 9 Best Malec Kisses Picked by Shadowhunters' Fans!! It's understandable why Magnus felt incomplete and displaced in his new reality. Magic flowed from his inner being and touched every single person he came into contact with for centuries. Plus, it connected him to the energy and pulse of the world. Being without that sense of connection messed with his mind, body, and soul. Magnus: I’ve had many, many happy memories in this apartment. But, at the end of the day, it’s just a thing. But my magic, it makes me feel alive. Yes, I can do fabulous tricks, jet around the world, and help the people I love, but more than that, magic connects me to ... everything around me. Without magic, I feel like a stranger. The world keeps on going, and it’s like I’m not a part of it. It’s like suddenly I don’t matter. Alec: Magus, of course, you matter! Magnus: I know. I know, Alexander. Everyone does, but without magic, I can’t feel it. This apartment is not important; I have you and I have my magic. Truly that is enough. Permalink: Without magic, I feel like a stranger. The way Magnus described his necessity for magic perfectly captured the tone of his character. Sure, Magnus enjoyed using his powers to do tricks and help his loved ones, but he always spoke of his magic in a grandiose way; almost as if his heart was in every word he spoke of it. His admission confirmed the love and need he felt for it. Now that he has it back, you could feel his utter joy and happiness at being one with himself. Though, he needs to dial it back with his excessive use of magic. Magic comes with a price, and his newfound abilities weren't his to begin with. That new dosage of energy might be a dangerous curse than a blessing. Magnus didn't need to use his powers to remove the lid from the tomb and retrieve the sword. I understand that he was ecstatic to have his powers back, but he showboated in the worst way. If Isabelle found the man alive before he died, why did he need to stick the file in his mouth for her to find? Couldn't he have just handed it to her? Maia should look into her claustrophobia issue with a therapist. That fear moved into irrational territory within the first few seconds of being trapped. Magnus should take everything he can from his apartment before he leaves. There are some trinkets that even he would agree are priceless. What did you think of "A Kiss From A Rose"? 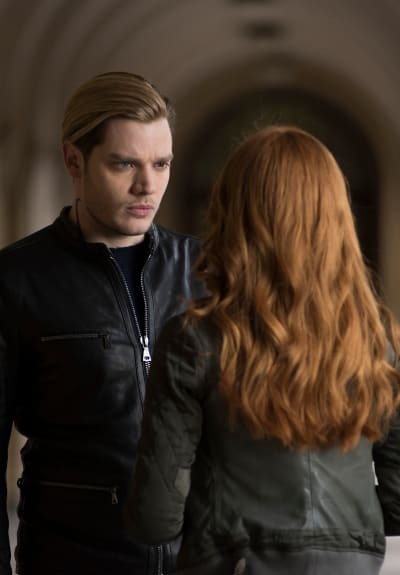 Will Jonathan's influence pose more of a problem for Clary and Jace's relationship? Is Magnus' bloody nose a part of Lorenzo's master plan? How will Luke get out of his trouble with the law?